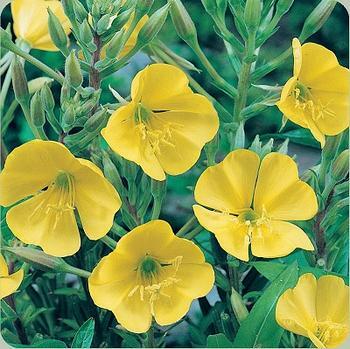 Perennial Oenothera-Lamarkiana, Other Names: Common Evening Primrose, Fever plant, Great Evening Primrose, King's cure all, Night willow herb, Scabish, Scurvish, Tree primrose. Vivid Yellow blossoms 2 1/2"- 3" across, with four petals. 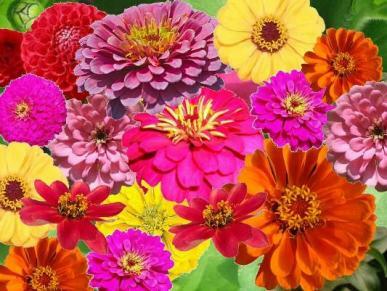 The flowers open in the evening and close up during the day and are strongly scented with a sweet perfume which attracts pollinating moths. The stem is erect, stout, and branching forming a shrub. The fruit is an oblong 1" capsule containing many tiny reddish seeds. The entire plant is edible. Seeds need light to germinate, do not cover after sowing, keep moist. Full sun.